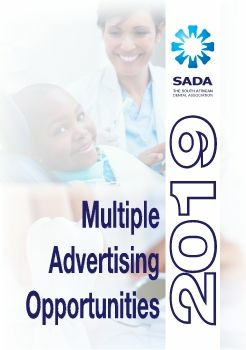 Campaigns to maintain the recognition of the dentist as the oral health care expert and the leader of the dental team. SADA policy seeks to maintain the highest professional standards. SA Dental Journal (keeps you abreast of the latest developments in dentistry) The only fully accredited scientific dental journal in South Africa for publication of Scientific papers, Clinical articles, Current dento-political information and opinion and Trade information. Members are also able to attain their CDP points by completing the online questionnaires.